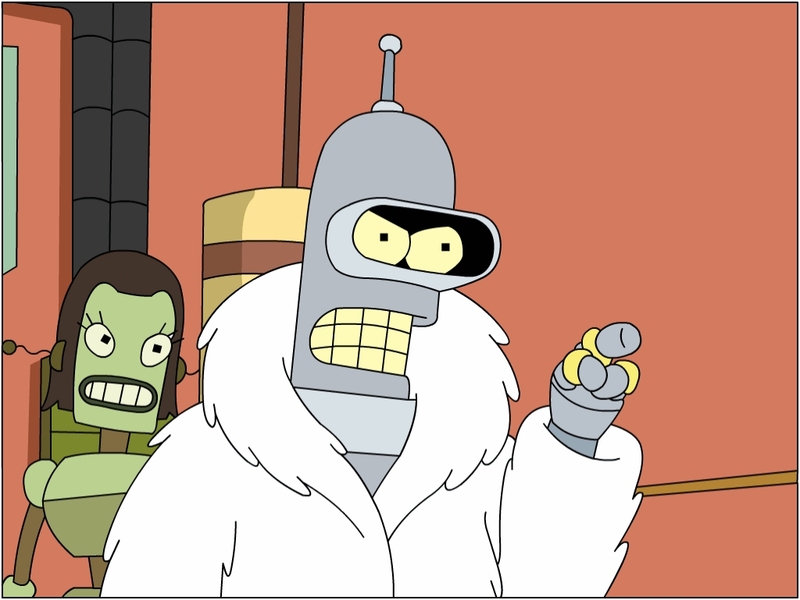 It’s a good day when a show like Futurama begins turning out new episodes. This past week’s featured a story where Bender began taking advantage of 3D printing to create a famous folk singer’s one-of-a-kind guitar. Naturally, things got out of control, and the story was chock full of social commentary and the concept that the printing revolution might actually be ushering an age where artificial replicas could infringe on the real thing. For the life of me, I can’t find clips of this episode anywhere. Guess it’s too soon to expect anyone to upload it to Youtube, lazy piraters! But I found the next best thing: a time-lapse video of a Bender figurine being printed out on a Maker Bot. It’s set to the extended cut of Futurama’s theme, and the result is a pretty cool replica of the jive-talking, amoral alcoholic robot himself!